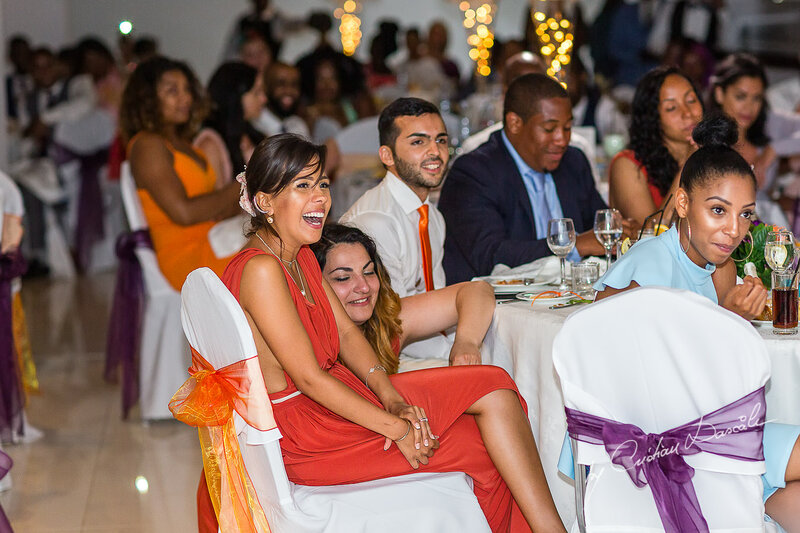 One of the things I love most about what I do is the opportunity it gives me to meet so many different families and experience the diverse traditions that weave our world together. 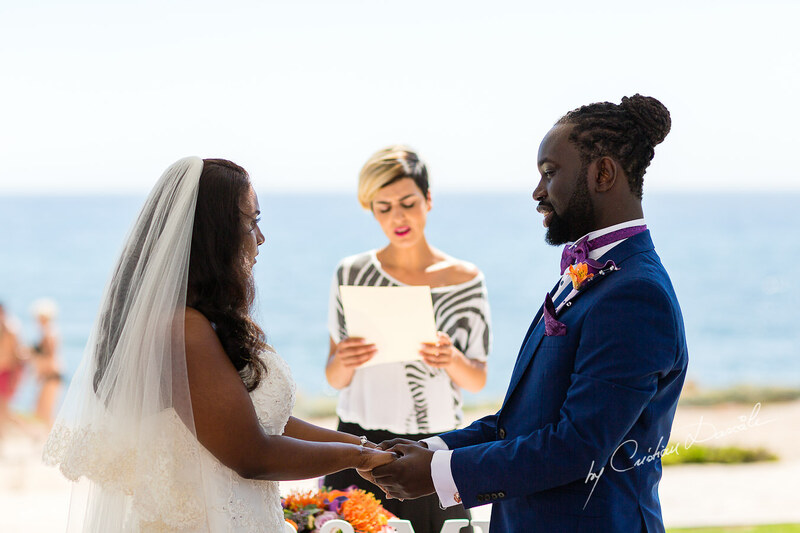 I’ve witnessed firsthand how every custom adds to the beautiful tapestry of humanity, enriching our collective experience. 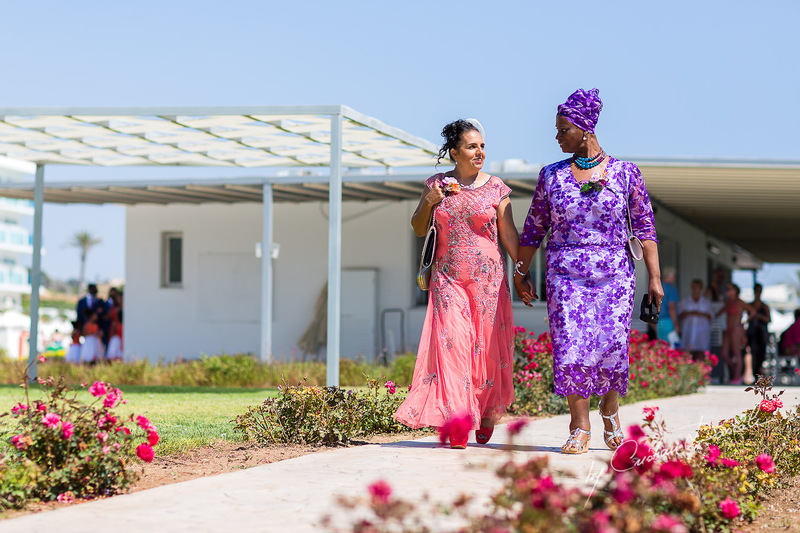 I’ve learned how, as cultures, we can approach the same collective truths—like love, compassion, and connection—from many different angles, and how that deepens our understanding of them. 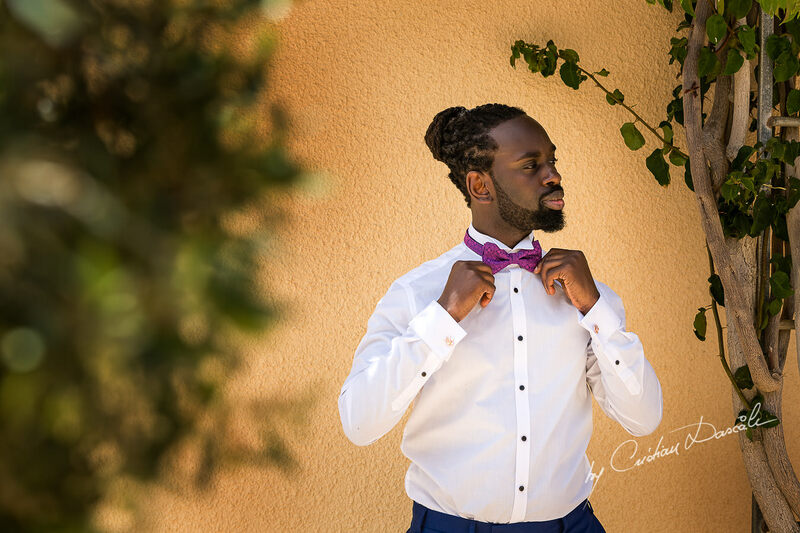 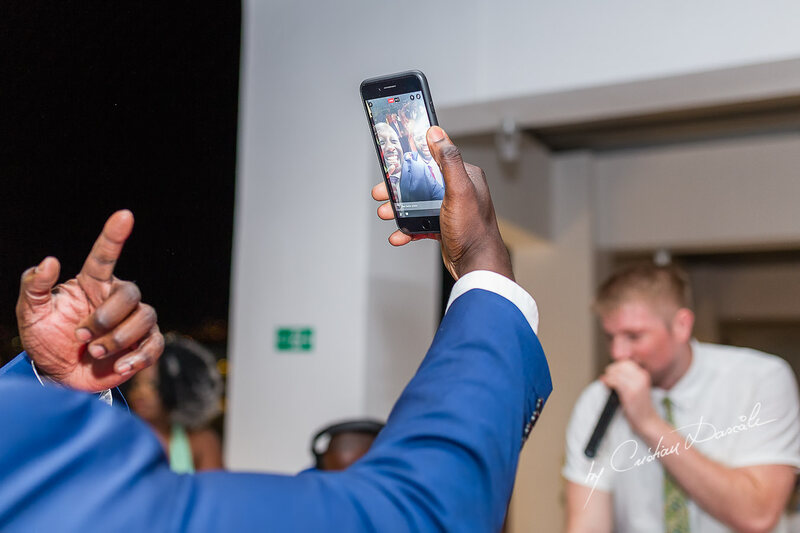 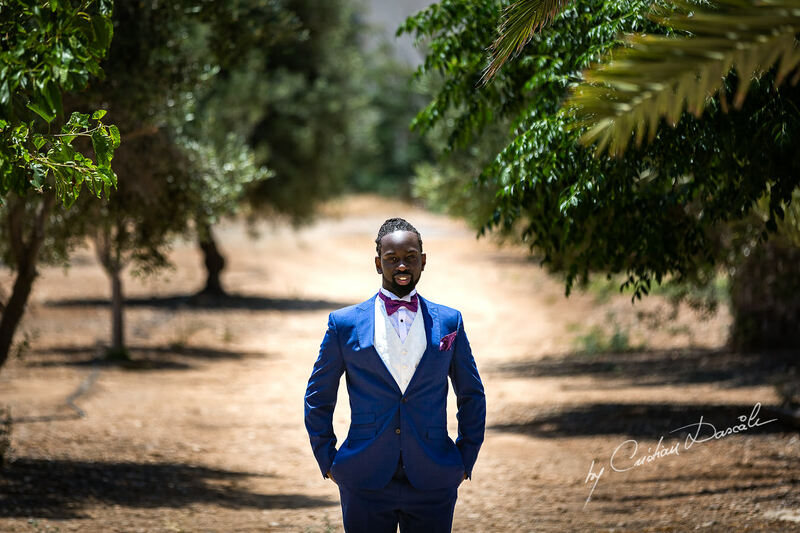 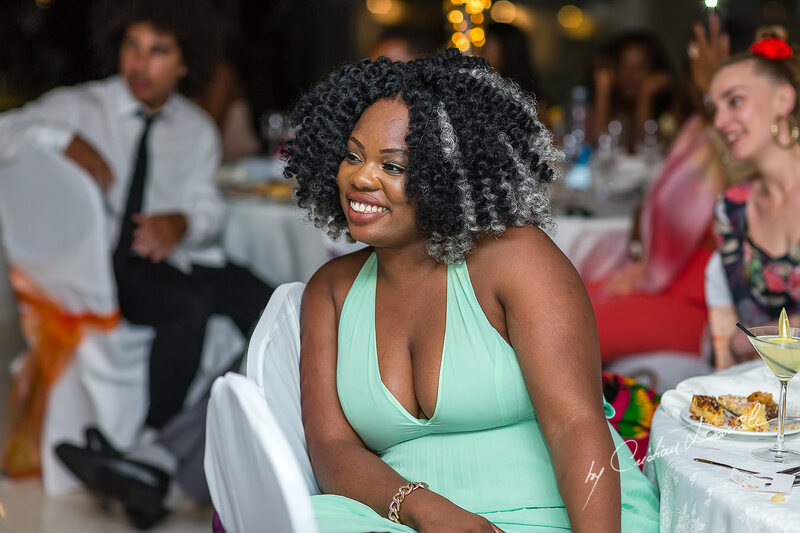 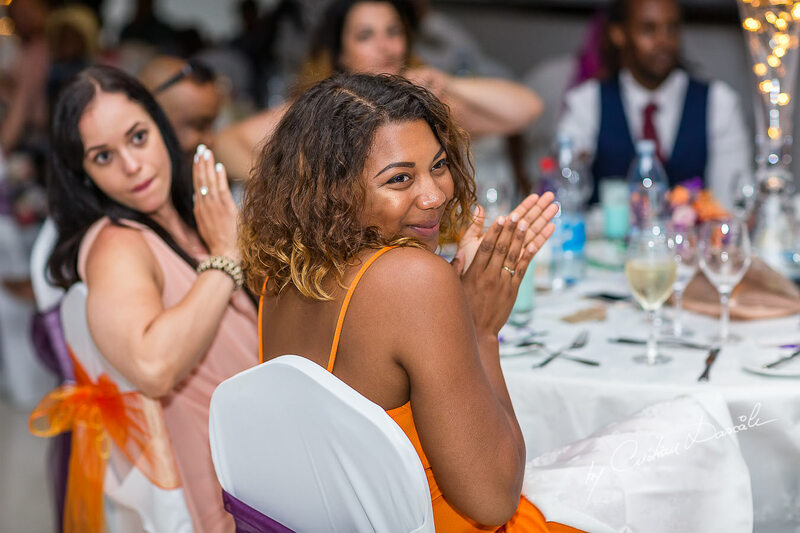 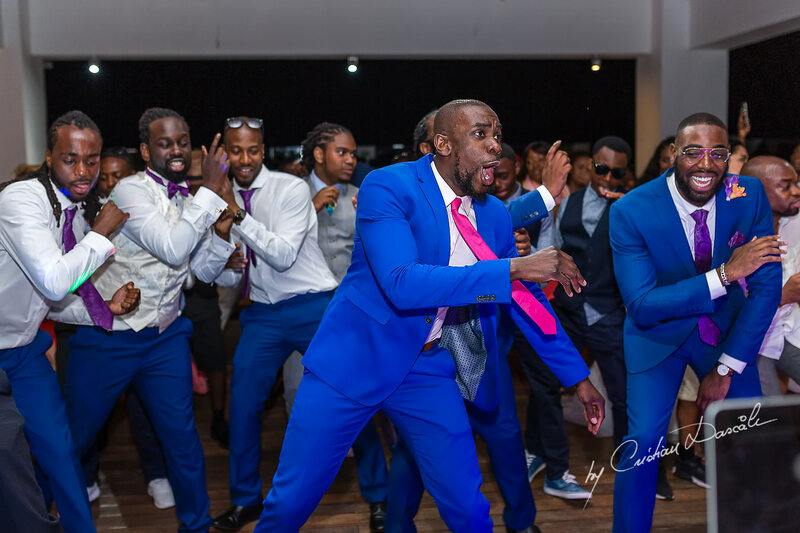 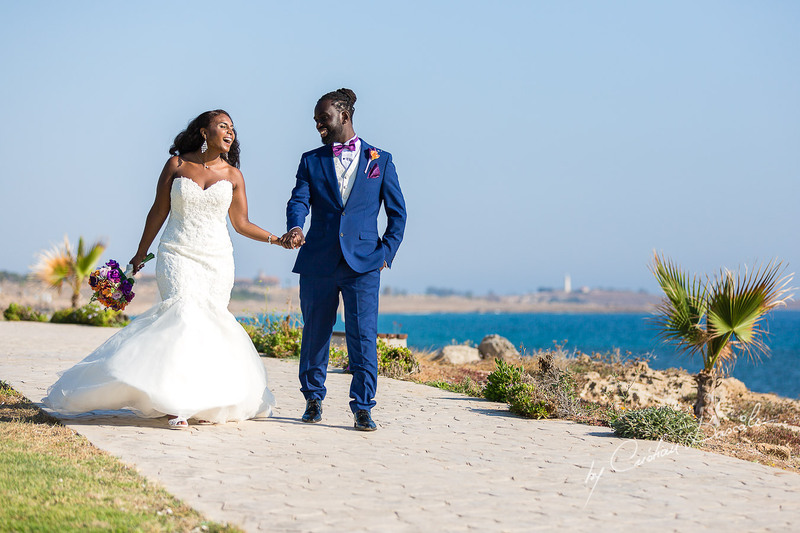 Naturally, then, you can imagine how excited I was to get the chance to shoot a Jamaican wedding at King Evelthon Paphos. 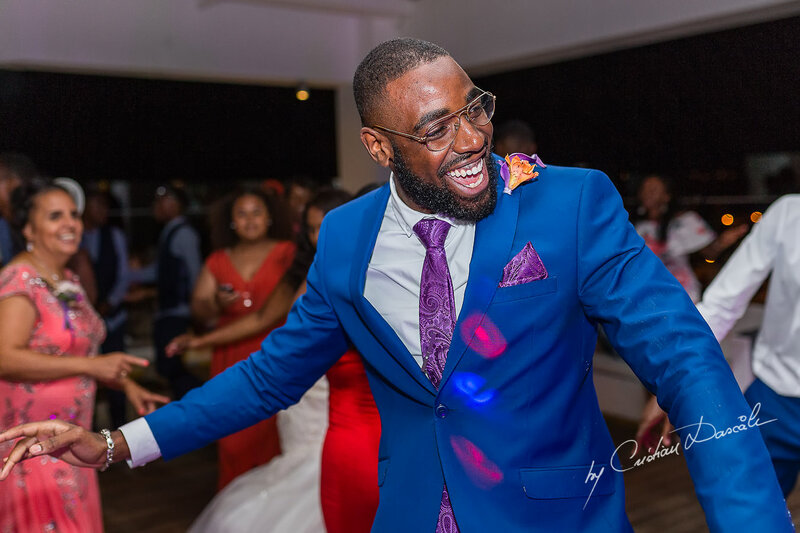 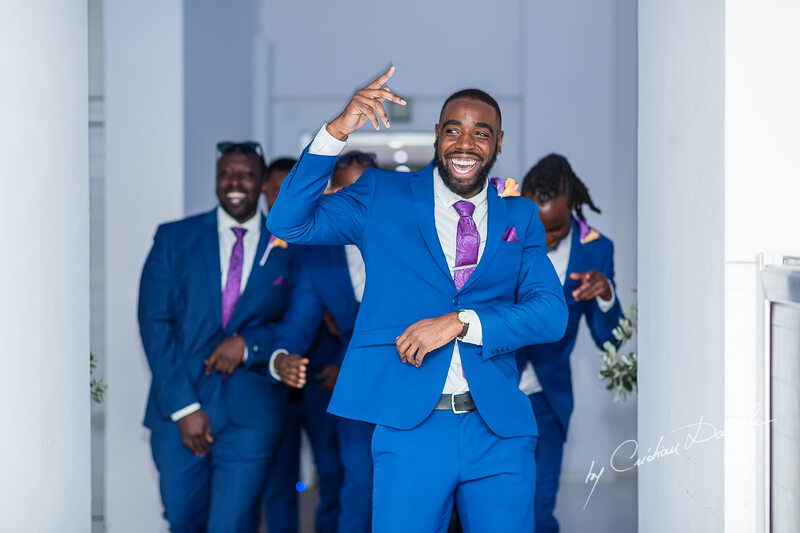 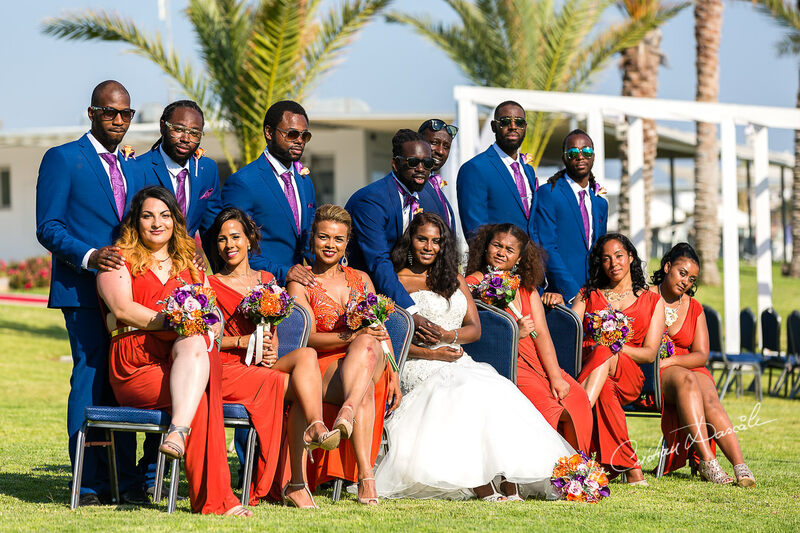 Not only would it mean taking colourful wedding photography in Paphos, brightened by the vivid hues of Jamaican dress and food, I’d be honoured to take part in the joining of two families from across the rolling blue waves of the Atlantic. 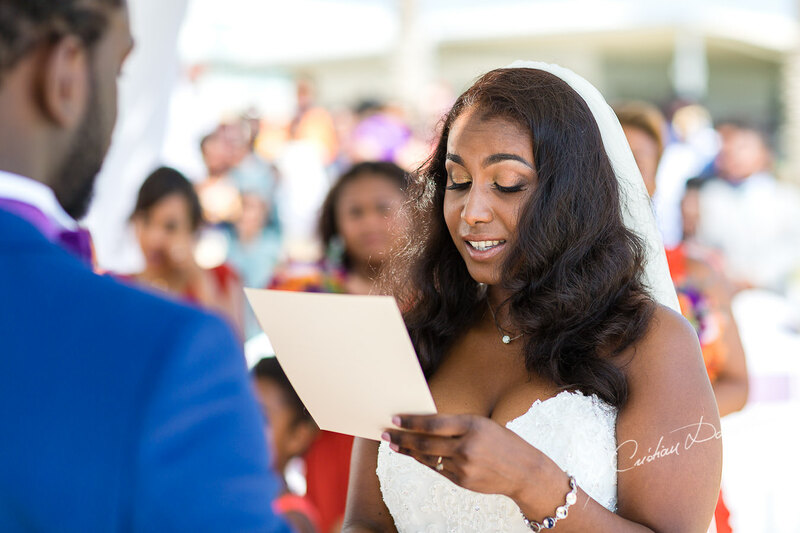 For Naomi and Tobias, keeping family traditions alive is at the core of their shared priorities. 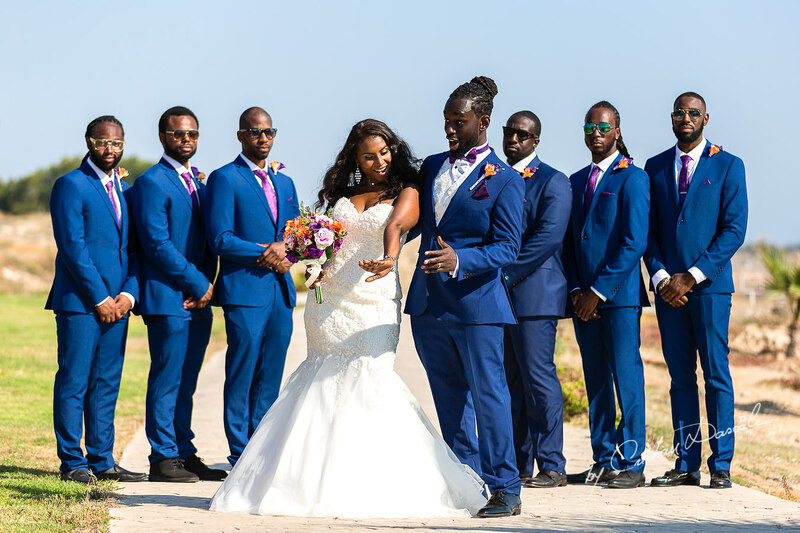 From their sunny native land, full of white sandy beaches and waving palms, both of these intrepid young people had moved to the UK, inspired to build a better life—but without losing any of the heritage that made them into who they are. 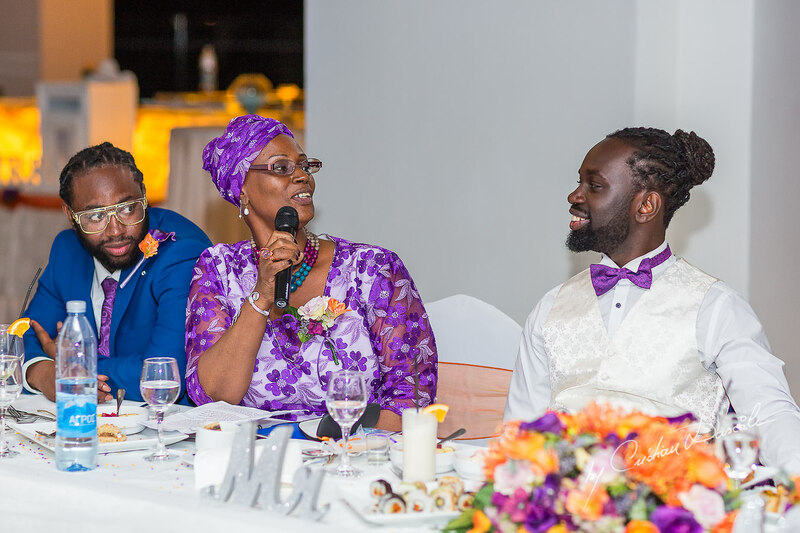 They know that family traditions do much more than just lend structure to our celebrations and holidays; they give structure to our lives. 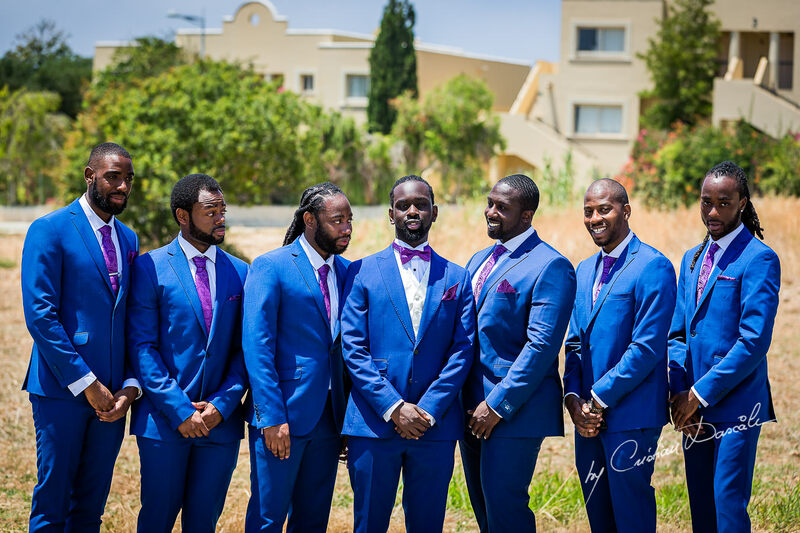 In a confusing and sometimes overwhelming world, they remind us of our roots, countering feelings of alienation. 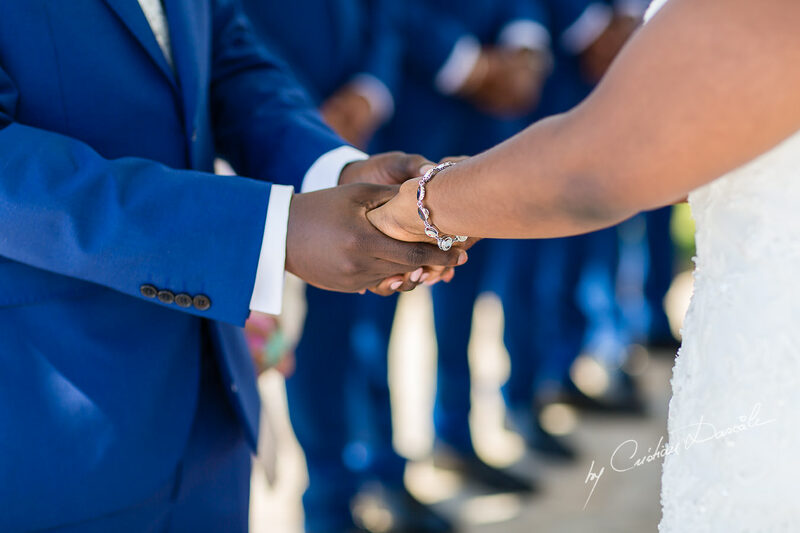 They’re also a means of connection, even when we’re strangers in a strange land. 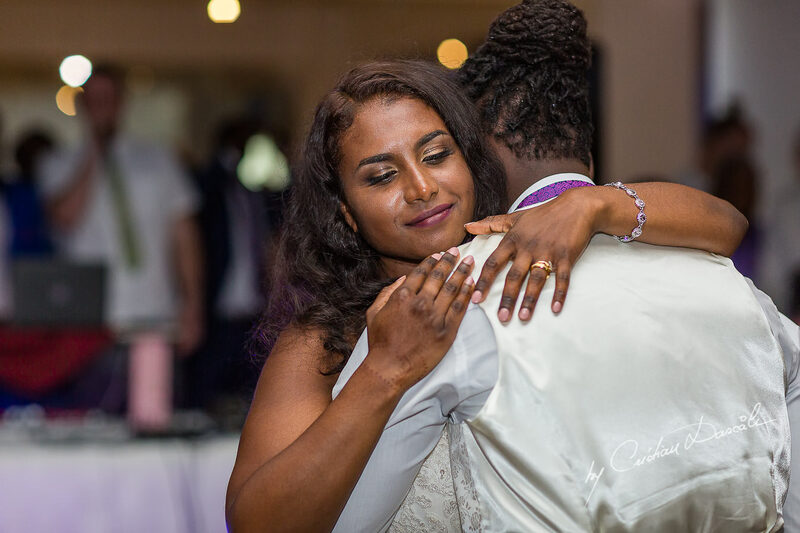 When Naomi and Tobias met, despite being so distant from their homeland, they could bond immediately over the many shared customs they still carried with them in their hearts. 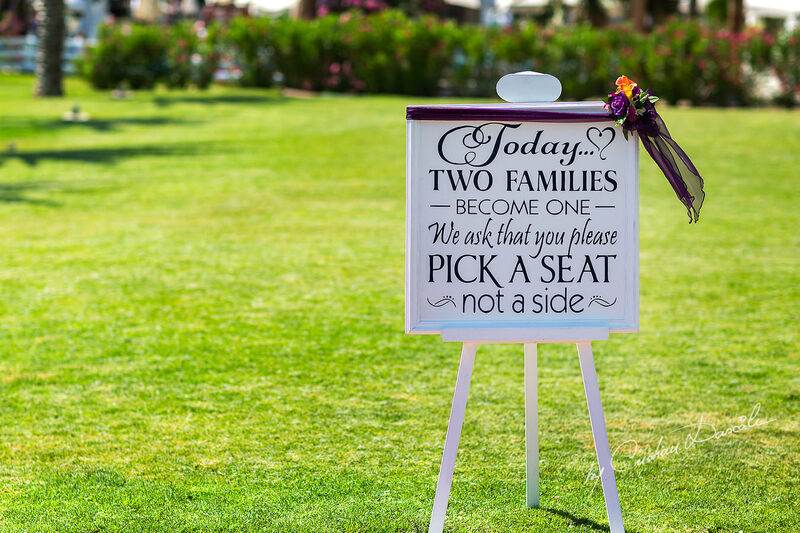 Today, families are living spread out over greater distances than ever before. 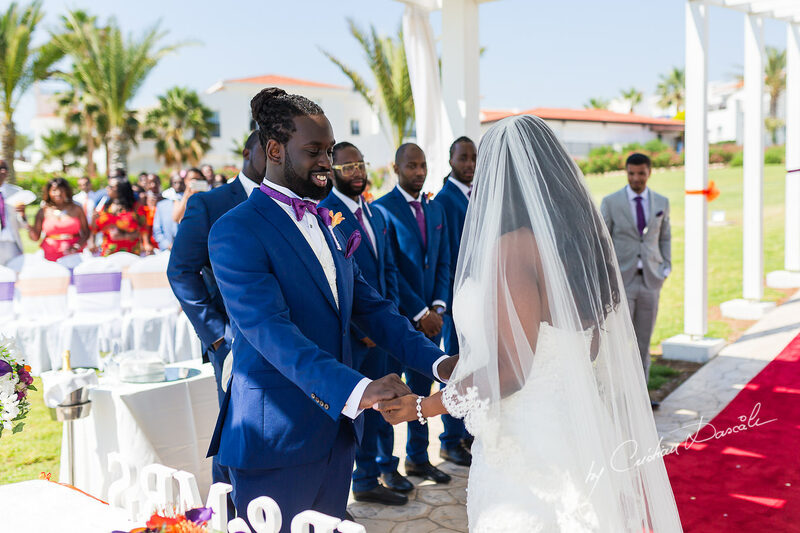 By keeping traditions alive, couples like Naomi and Tobias find a way to stay in touch with their ancestors and living relatives. 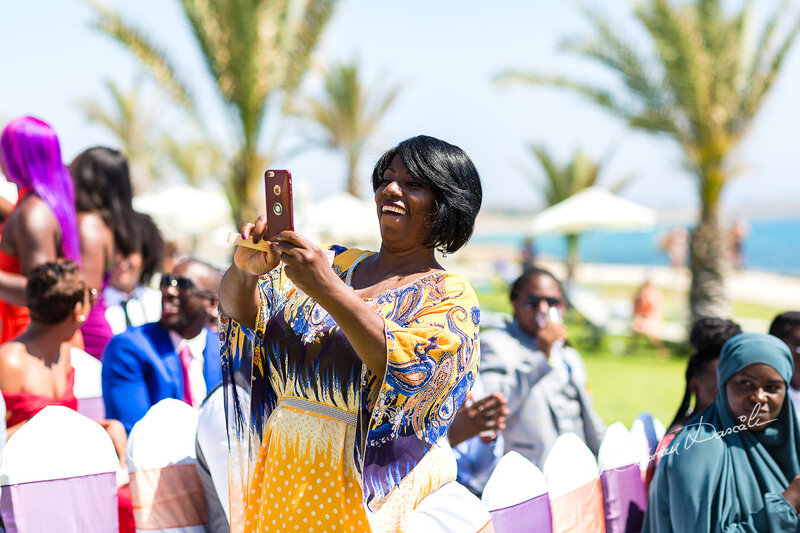 They know that across many miles, their loved ones are still engaging in the same rituals during every marriage, birthday, and holiday. 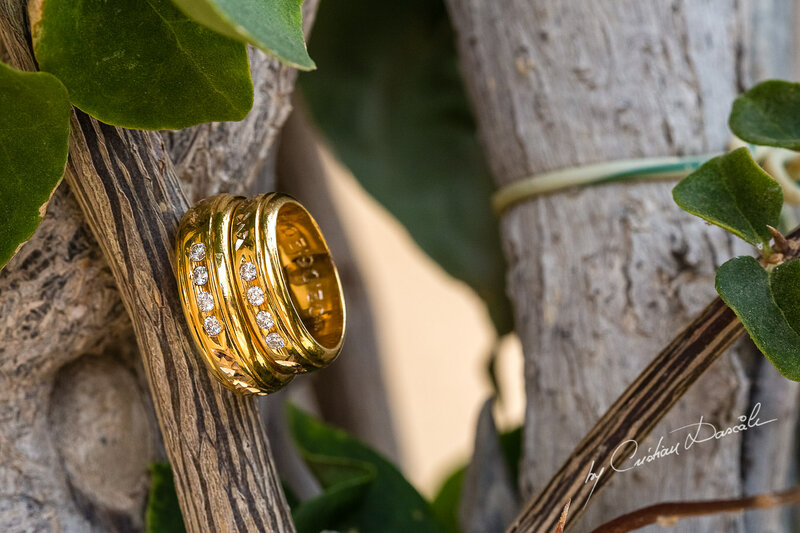 Traditions are more than static mementos we keep with us, too. 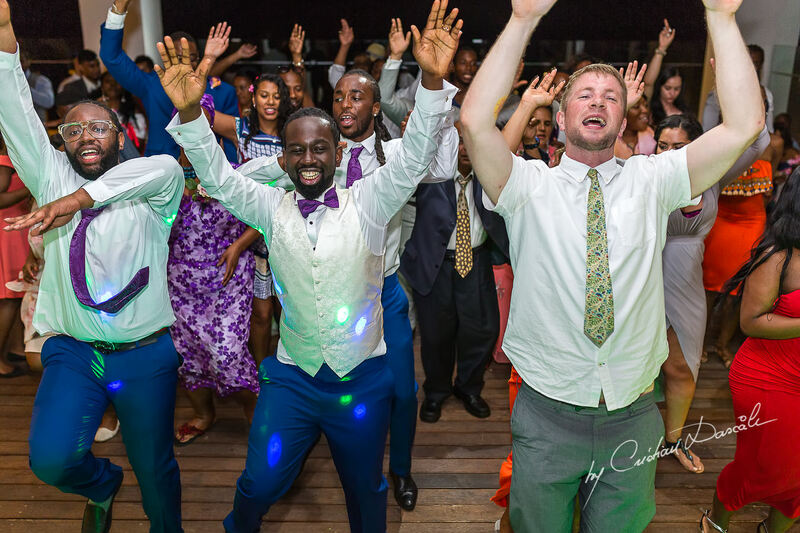 Like all aspects of culture, they’re living, breathing parts of ourselves that we mold to fit our lives, and in that way, they become unique to every family even as they’re a shared experience. 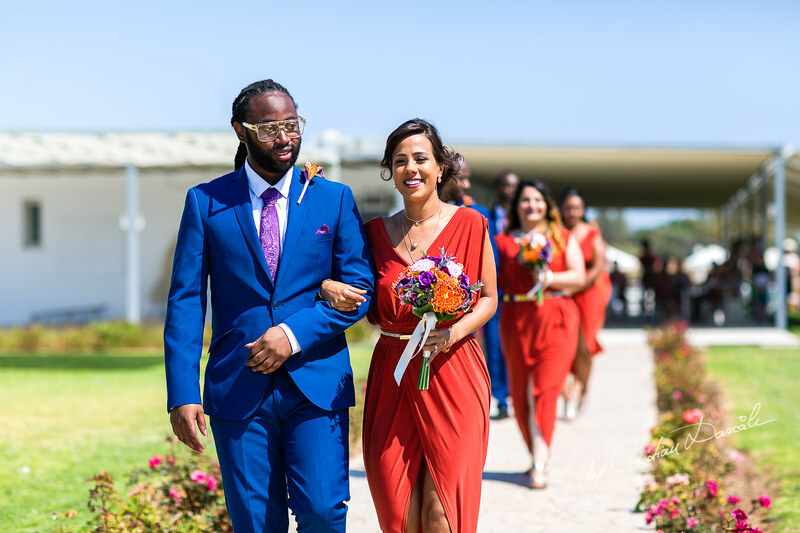 For Naomi and Tobias, this meant adding modern elements to their wedding and incorporating their shared commitment to healthy, compassionate vegan eating. 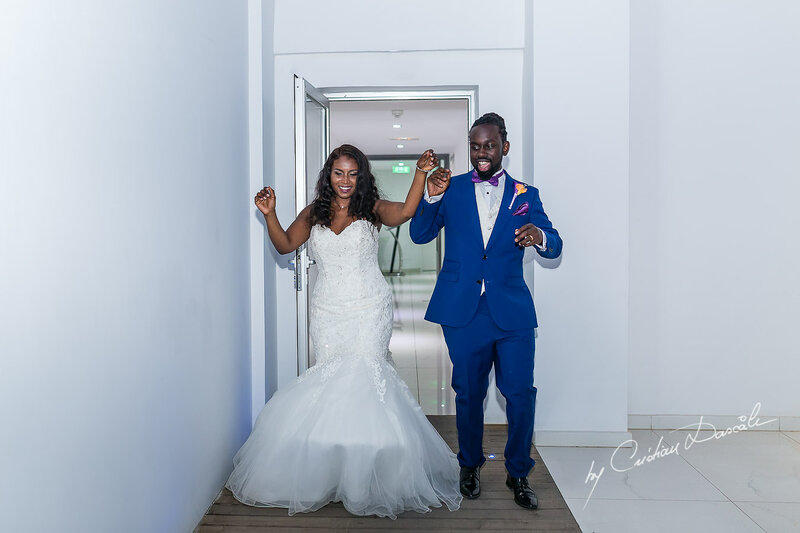 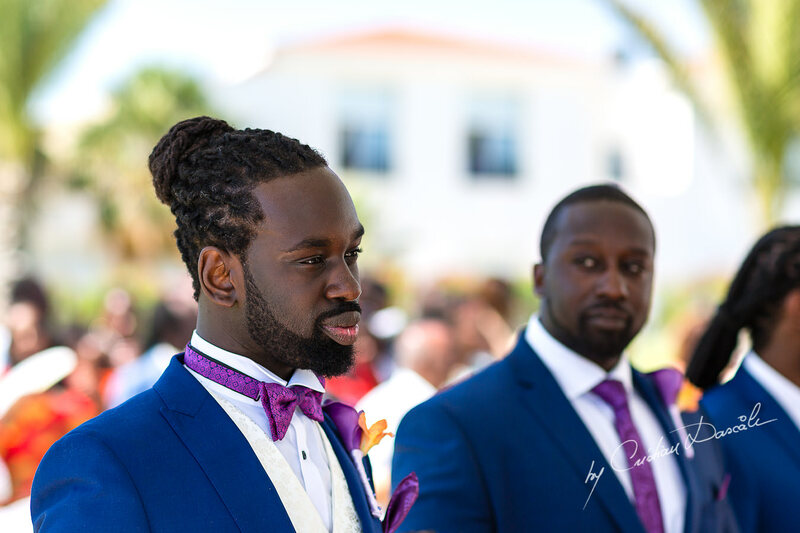 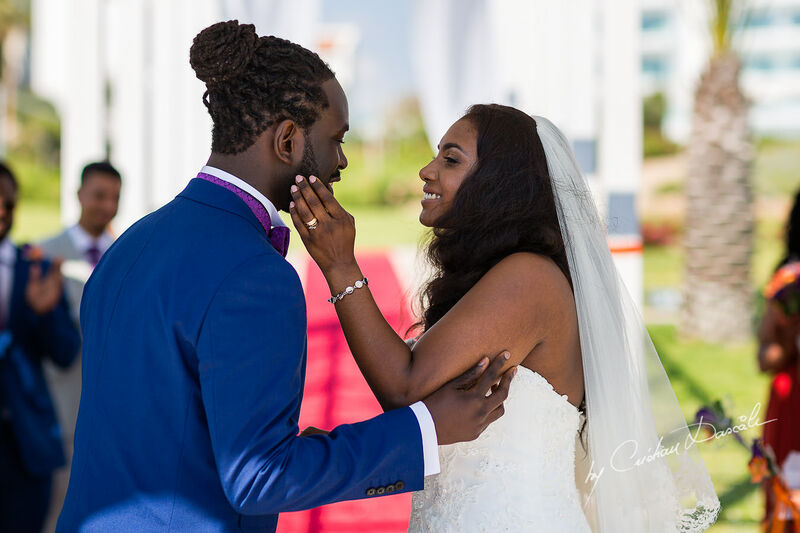 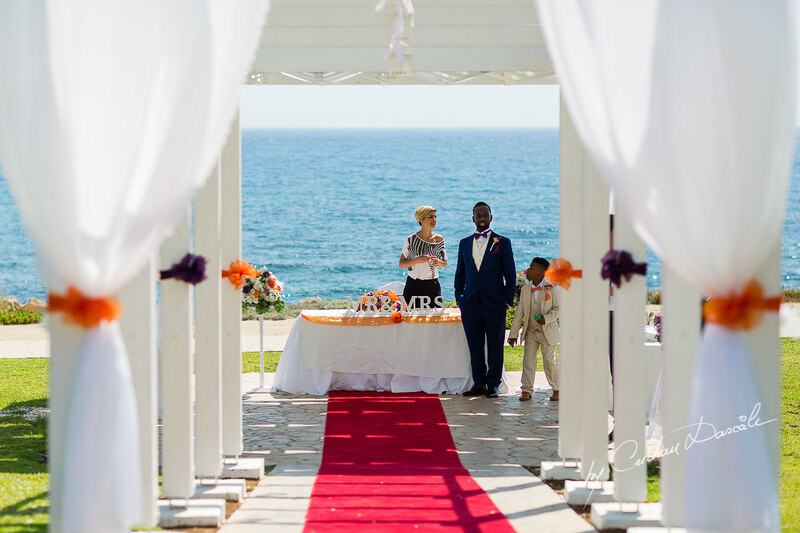 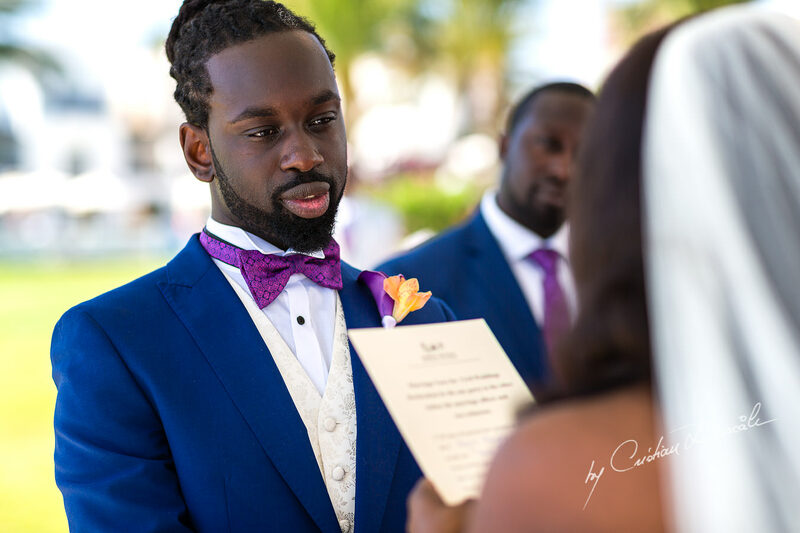 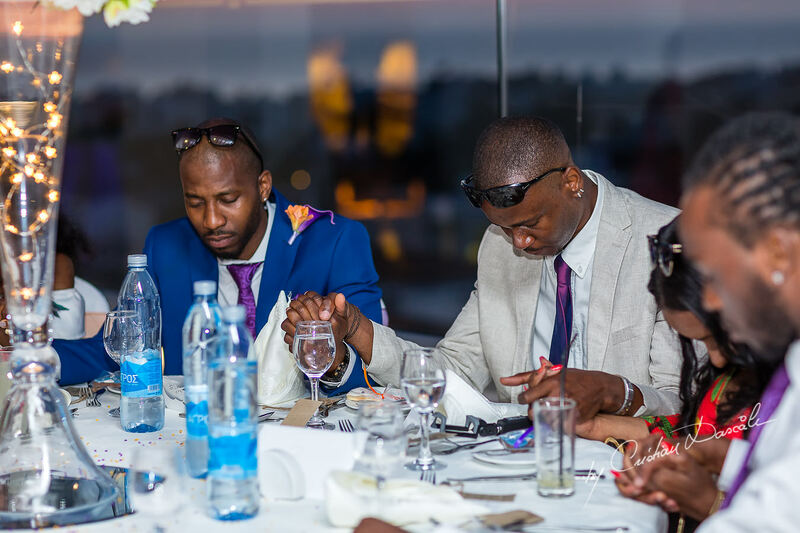 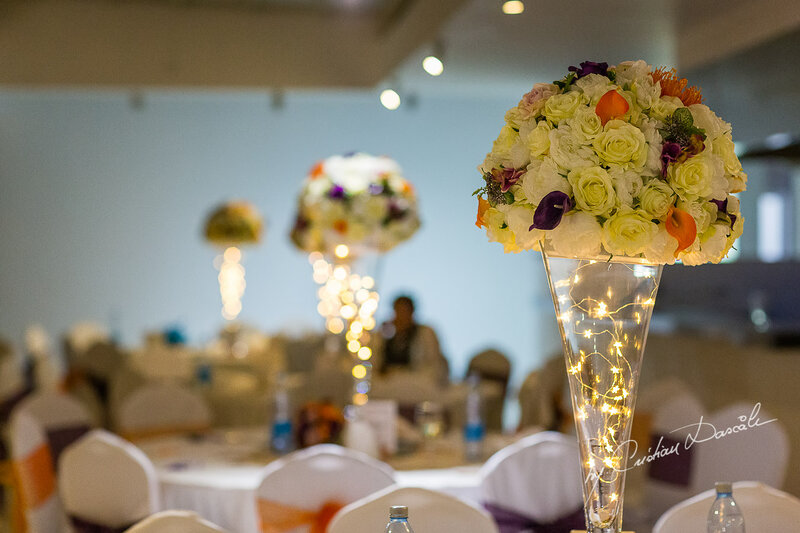 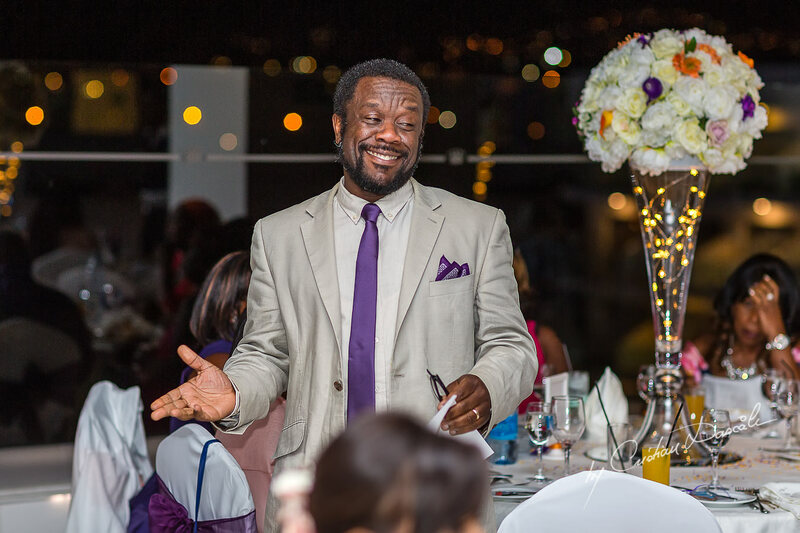 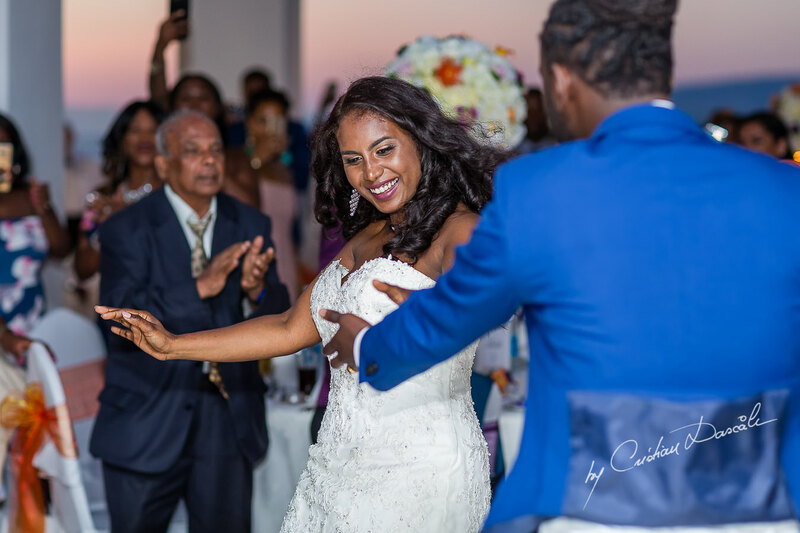 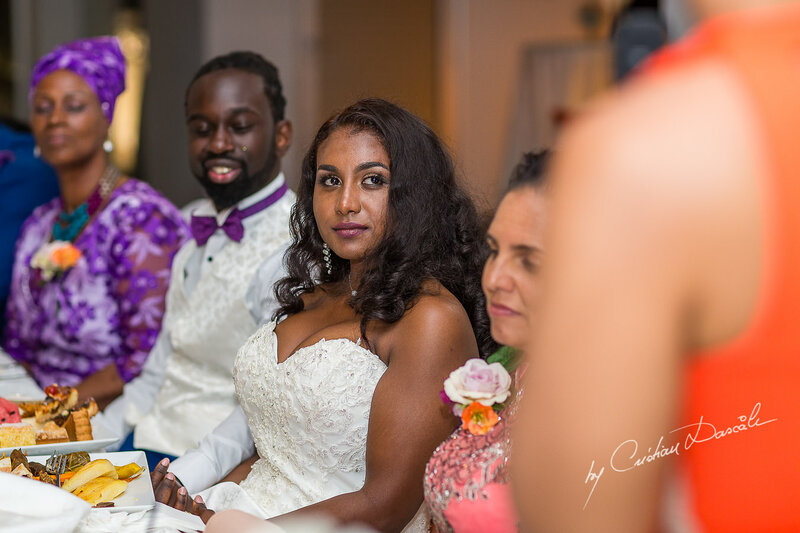 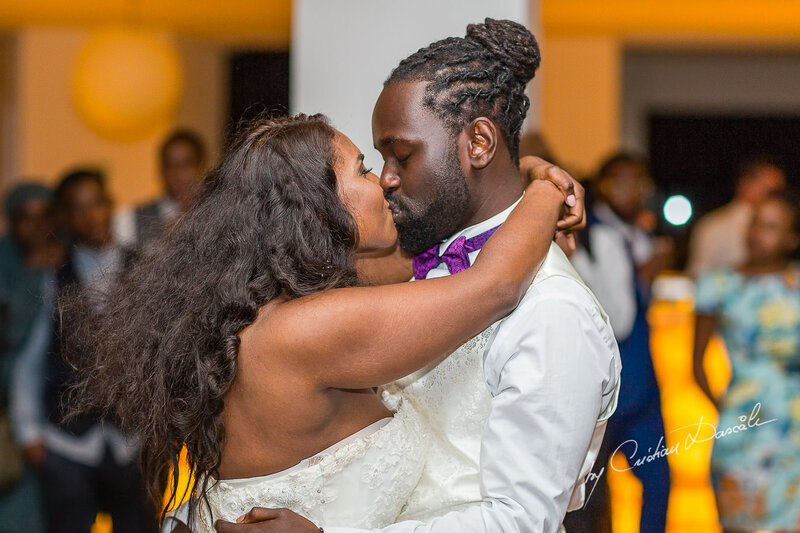 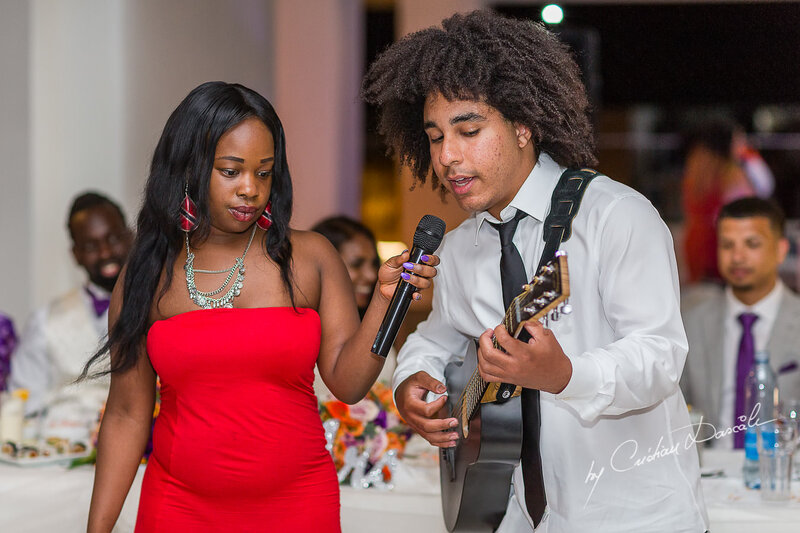 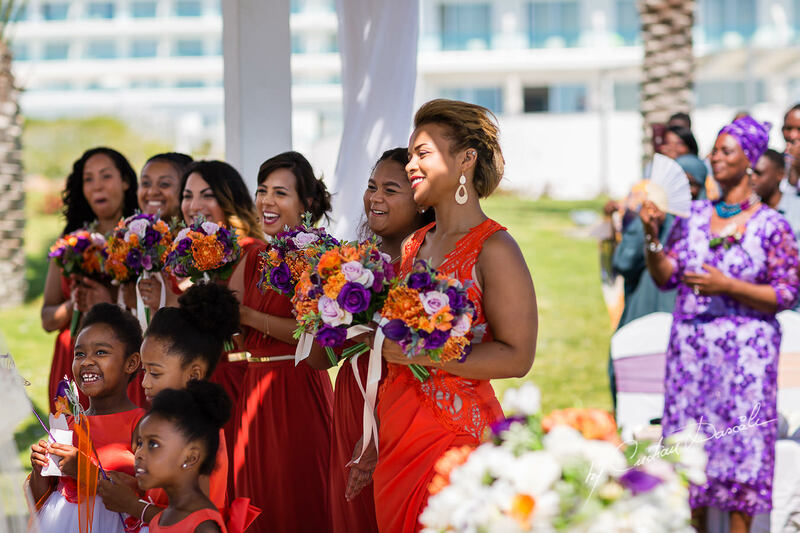 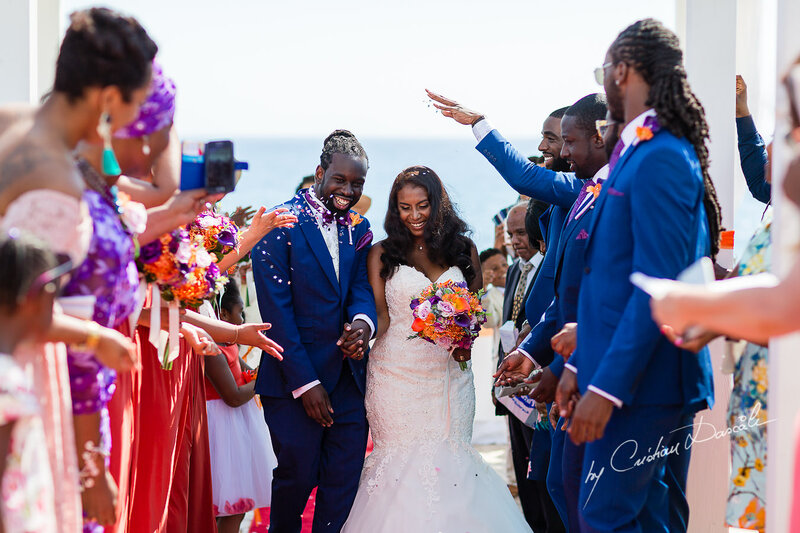 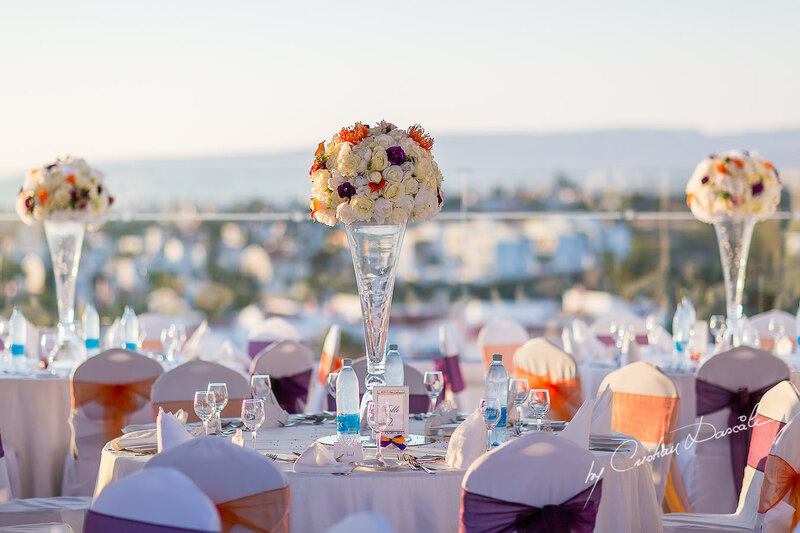 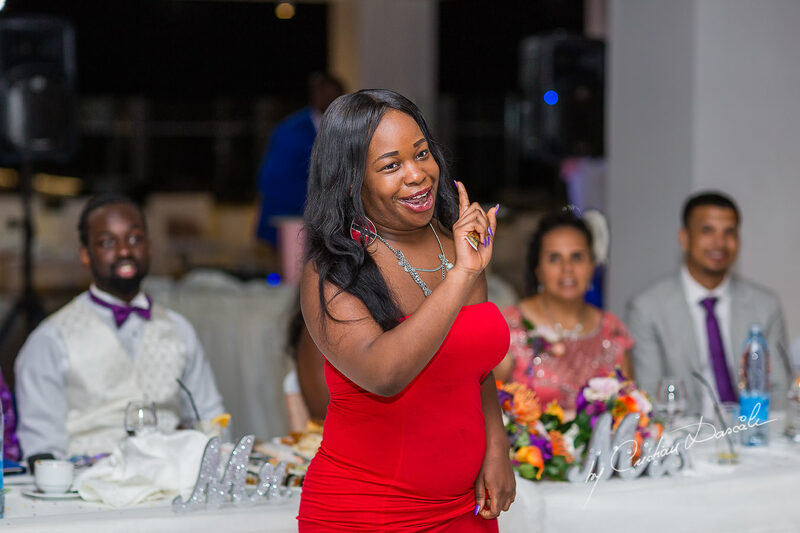 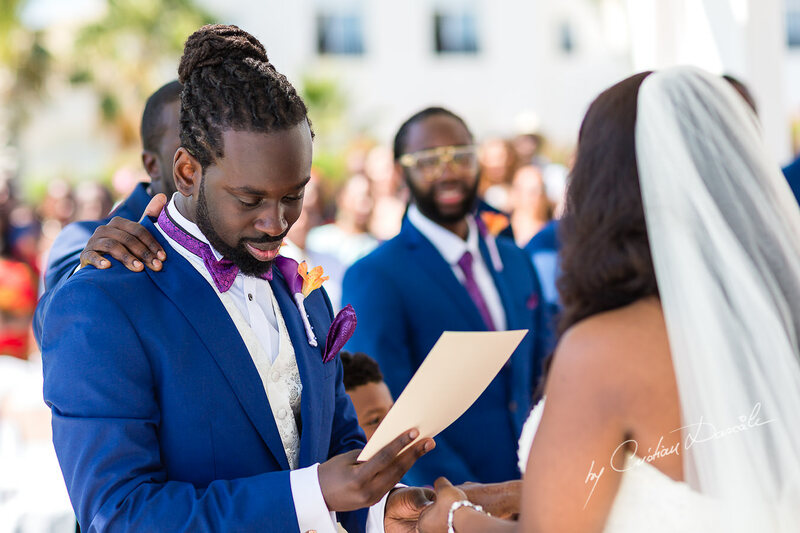 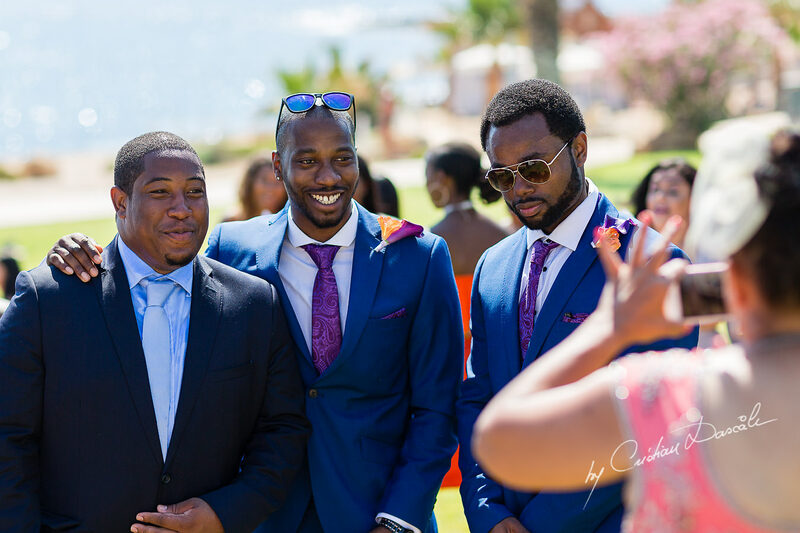 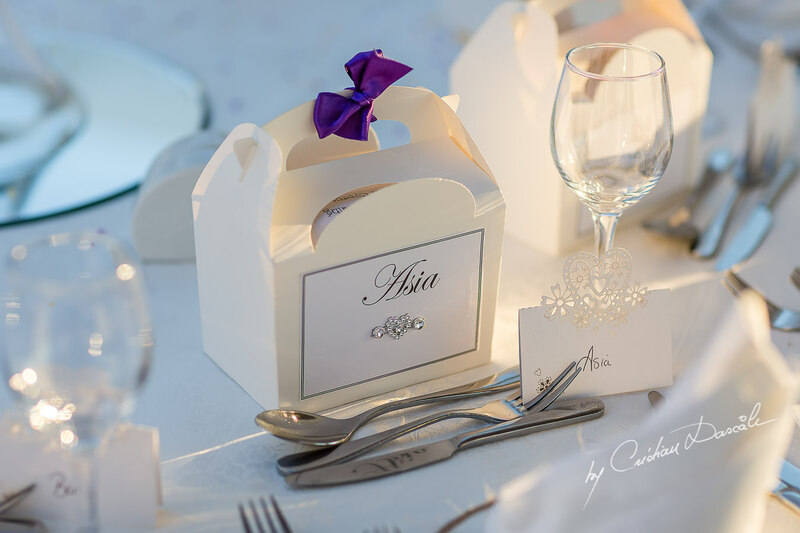 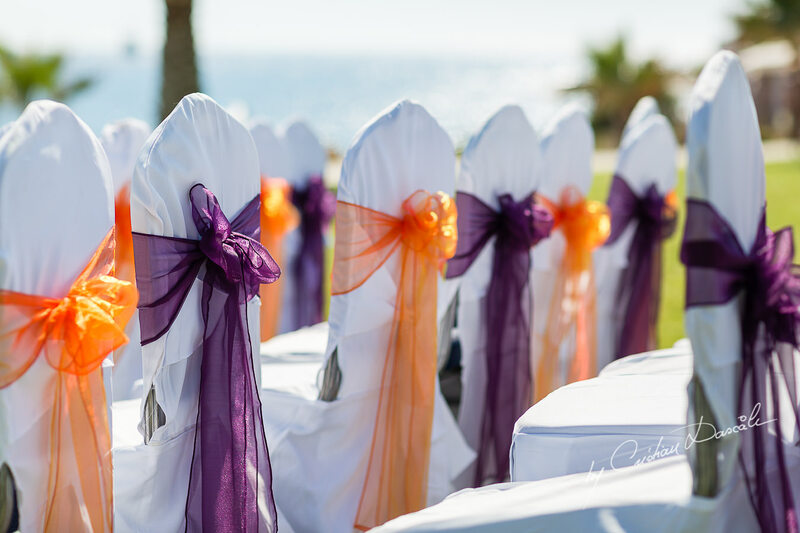 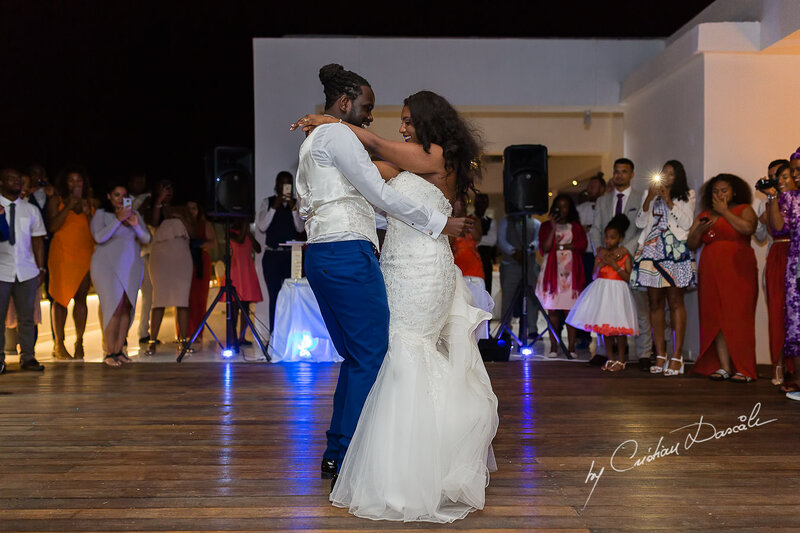 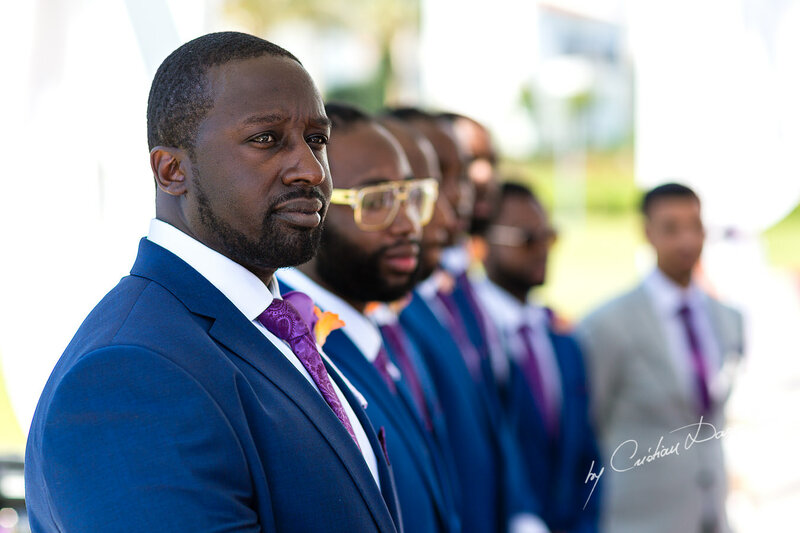 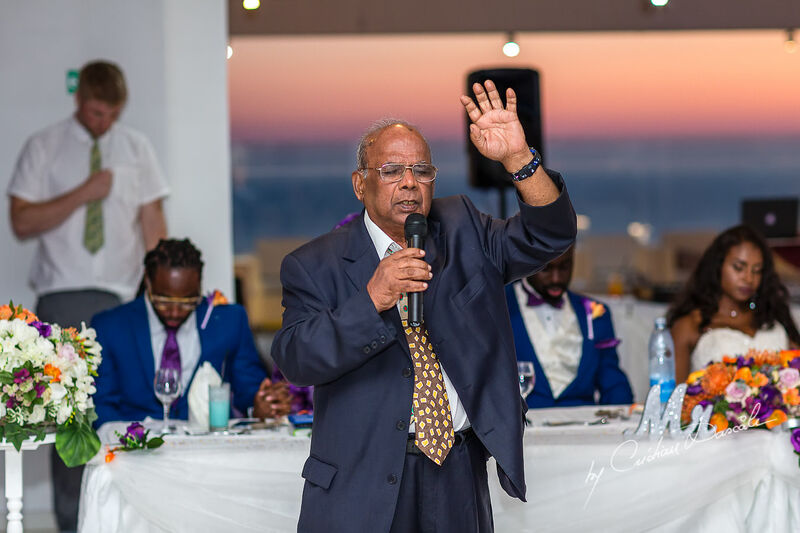 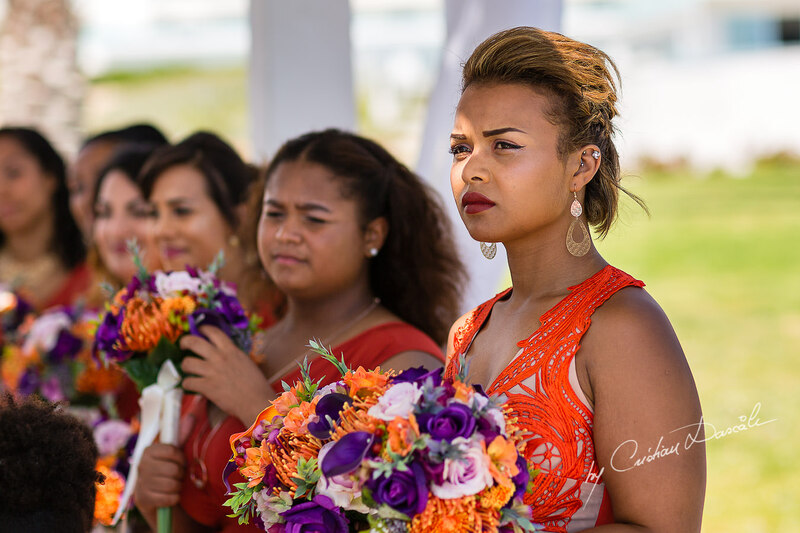 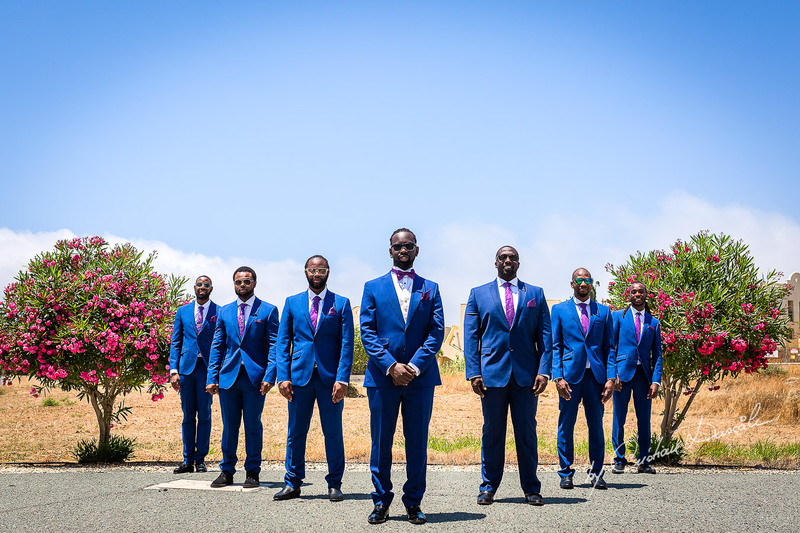 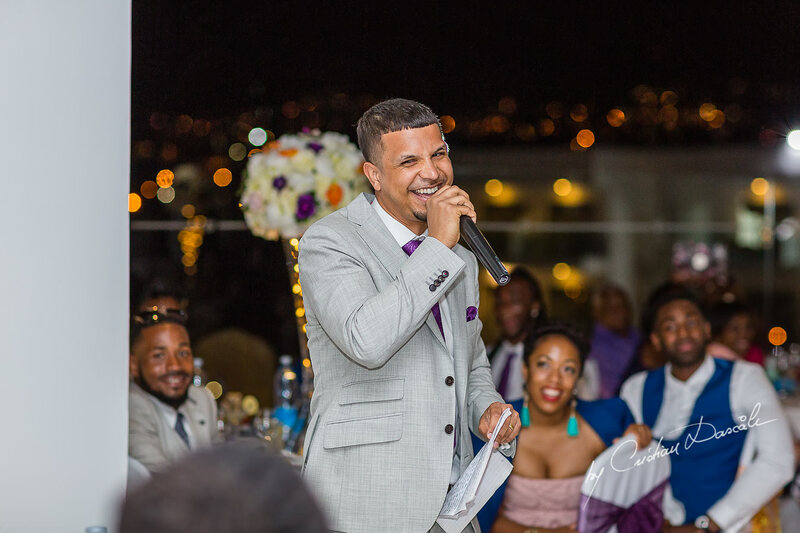 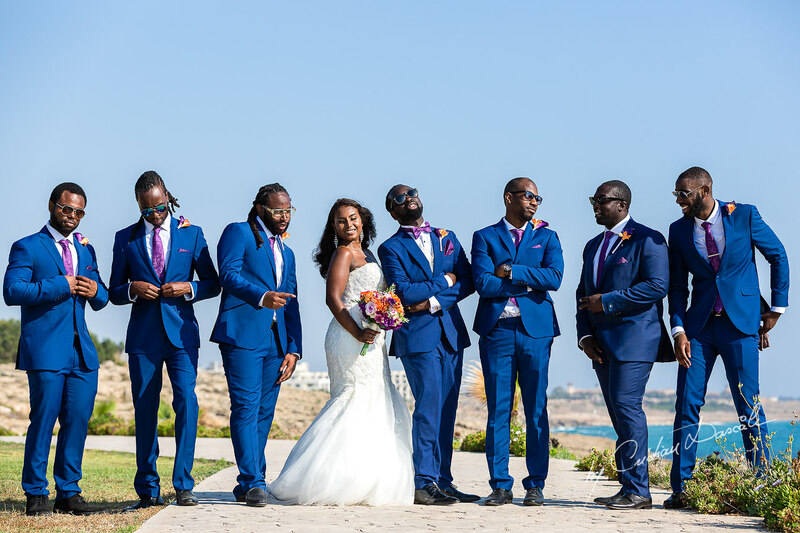 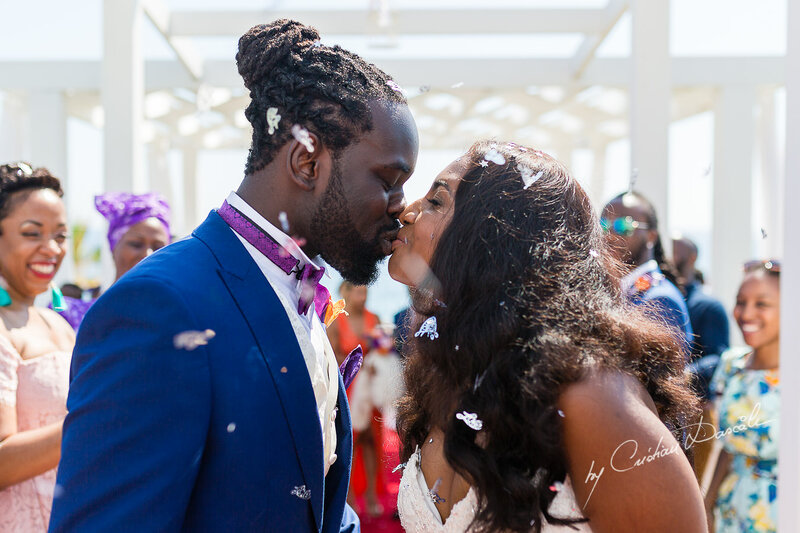 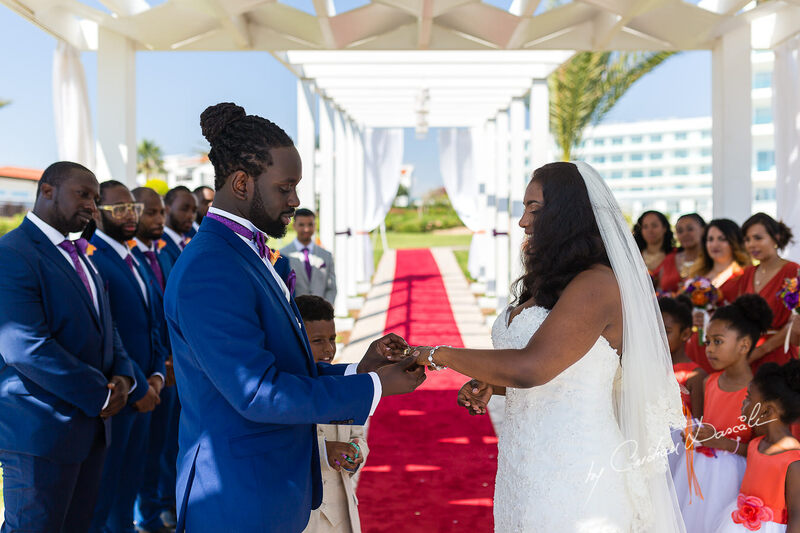 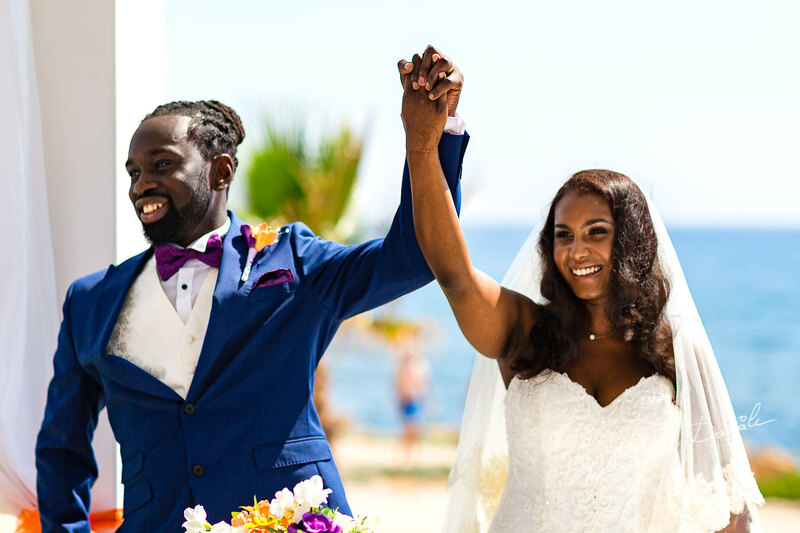 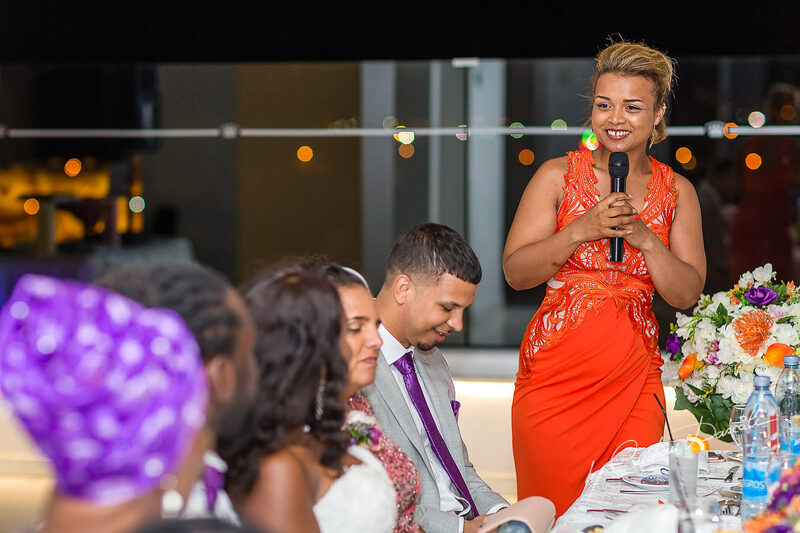 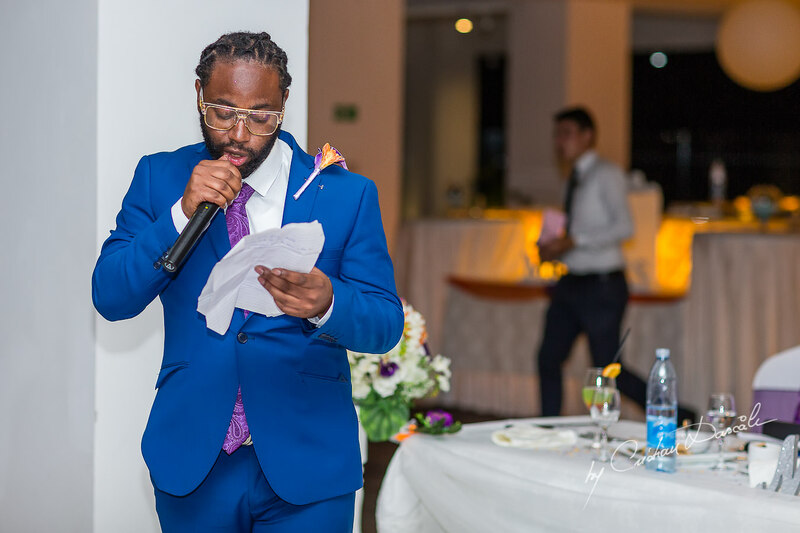 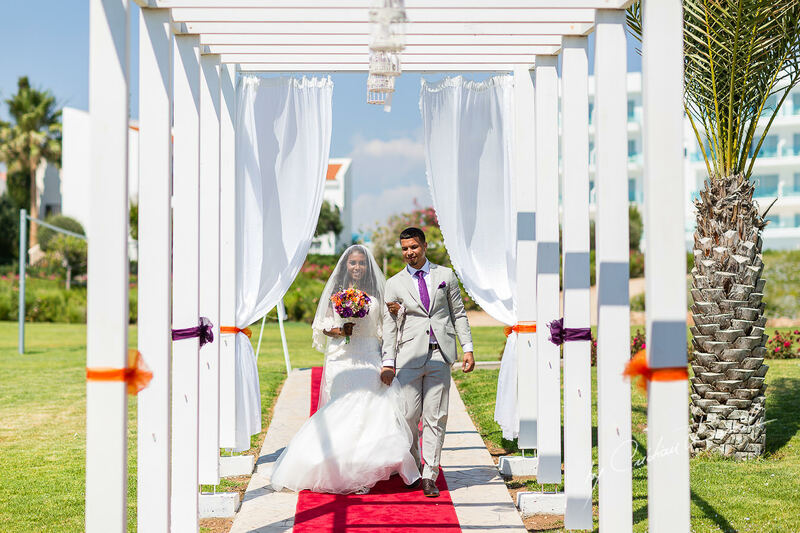 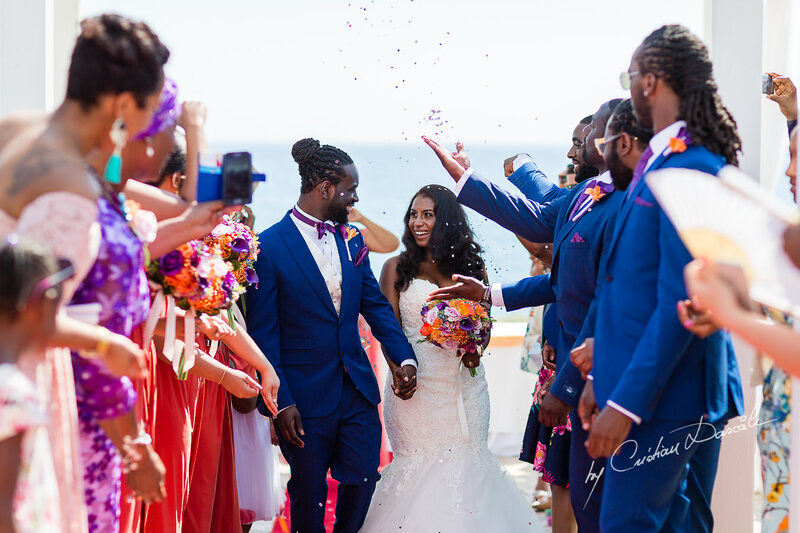 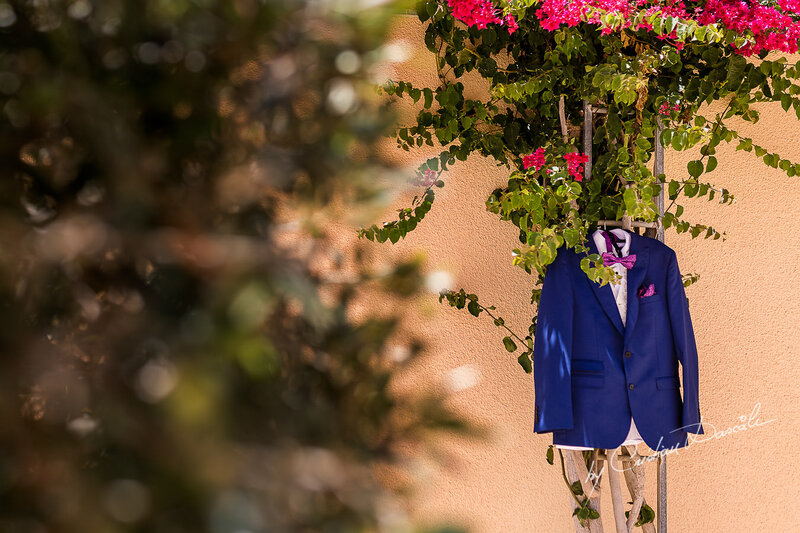 These new customs will be passed down to their children and their children’s children, forever memorialized in the pictures of this Jamaican wedding at King Evelthon Paphos. 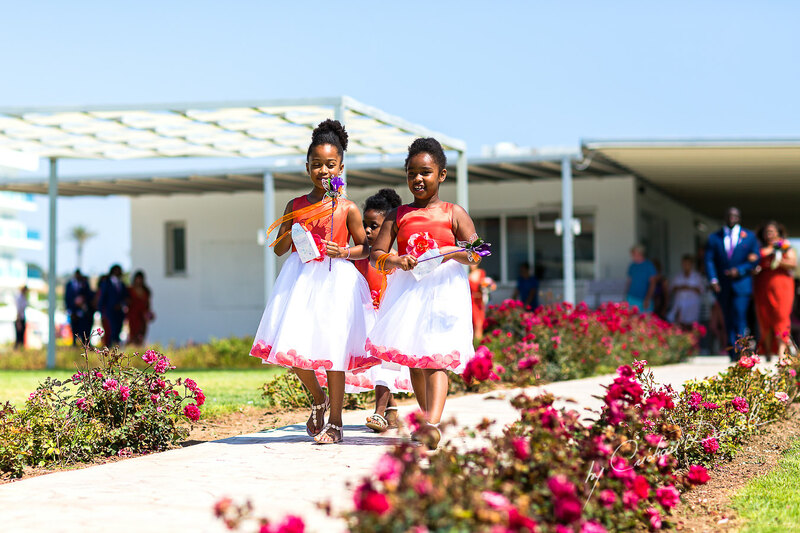 Because they grow and change with us, traditions give us a way to shape the future and leave a lasting legacy for the generations to come. 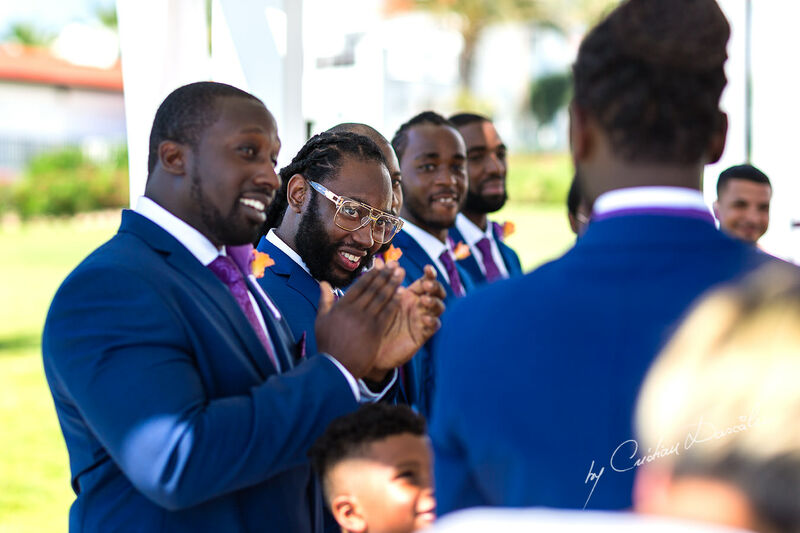 As a wise man once said, “Inside every tradition is a meaningful experience.” By keeping them alive, we promise to give the gift of that meaning to our sons and daughters.